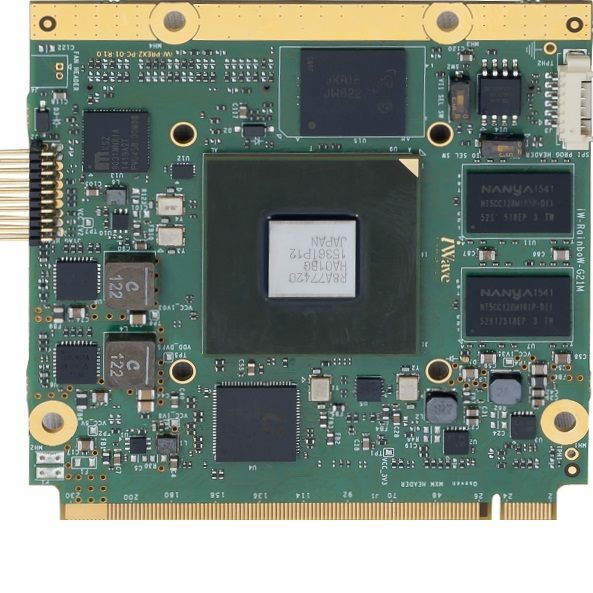 iWave’s RZ/G1H based Qseven CPU module integrates Renesas RZ/G1H Quad core ARM Cortex A15 @ 1.4GHz & Quad core ARM Cortex A7 @780MHz CPU with rich set of features and IO peripherals. It integrates Full HD hardware codecs, graphic acceleration, DDR3 RAM, eMMC Flash, Micro SD slot, USB HUB, HDMI transmitter and Gigabit Ethernet PHY. The SOM is ideally suitable for high performance video intensive and graphic rich applications.